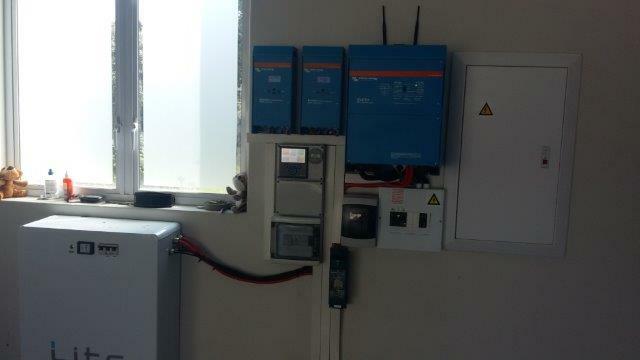 Green Energy Solutions recently completed a grid connected off grid system in Craighall, Johannesburg. They system consists of the following components. 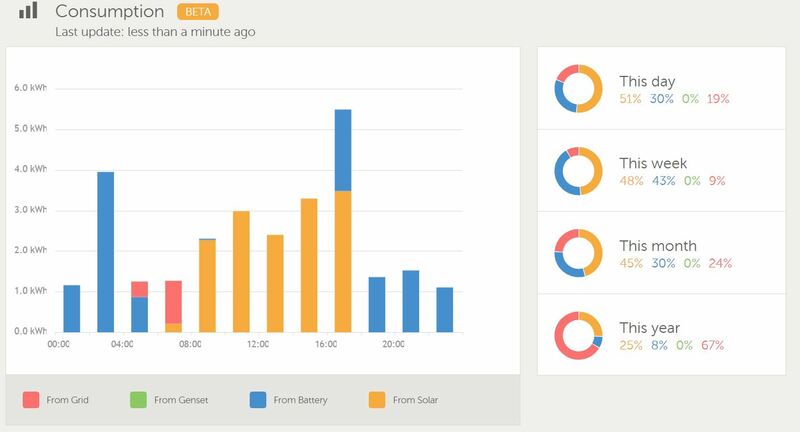 Daily from 10am to about 3pm the system generates enough solar power that all electrical loads in the house can be supplied completely by solar power directly. Because this is a DC coupled system, the system only makes use of solar power if the inverter is functioning. Normally the inverter is in bypass mode, and grid power just flows through the inverter directly to the loads. To make use of solar power, the internal transfer switch of the inverter need to disconnect from the grid and connect the inverter to the loads. A DC coupled system is basically a system where the solar power flows to the batteries first and then to the inverter. As opposed to an AC coupled system where the solar power flows directly to the AC side, and then optionally a battery is charged from the 230V AC. The inverter intelligently manages when there is enough power stored in the batteries and when it should use power from the Solar and batteries and when it should just connect to the grid again. The installation of the solar system array was a real challenge. It is a double story house with a very steeply pitched corrugated iron roof. After assessing the roof, it was decided to get specialised team in, that specialise in working at heights with ropes. Victron has a very good online monitoring portal. From this portal all aspects of a solar system can be monitored. Recently the functionality was also added to change settings remotely. 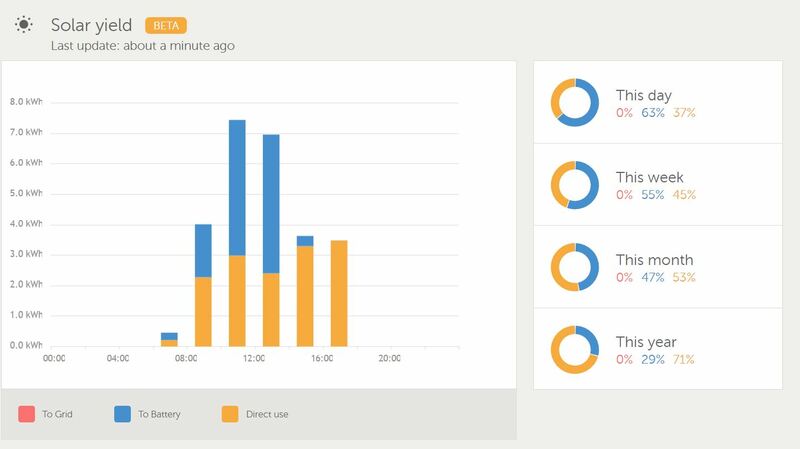 Here are a few examples of this online monitoring site. The client is often away for extended periods from home and was looking for a solution that can provide backup power automatically and effortlessly.